A New Hampshire farm that posted a video of a cute newborn calf is coming under fire from animal rights supporters who don't want the animal to be slaughtered. The Concord Monitor reports Yankee Farmer's Market in Warner posted the video of the animal named Diego last week. 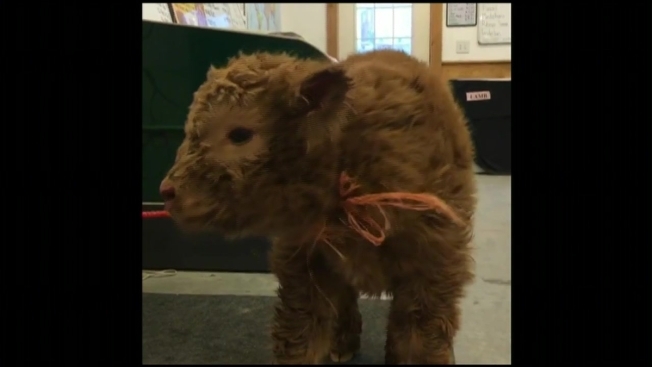 In it, the Scottish Highland calf is warmed by an off-screen hair dryer. The video has more than 12 million views on Facebook. Some people are trying to drive down the farm's reviews using Facebook's rating system. Several have offered to adopt the calf. Farm owner Brian Farmer says he raises his animals ethically and tries to give them the best life possible. He says the calf has been returned to its mother and his thick neck, strong body and gentle disposition make him a good candidate for breeding stock. "I'm not sure how you get that much negativity out of a picture of a baby cow," he said.